In what is a sad day for cineastes, but a glorious day for cellulose molecules, Paramount has become the first major film studio to say it will no longer distribute film prints—thus ceasing the practice of dousing cellulose in nitric acid, just to put Will Smith’s face on it, that People for the Ethical Treatment of Chemical Compounds find so barbaric. The “end of film” has been predicted for a long time now, with harbingers from Kodak saying it would stop producing cellulose acetate this summer, to the release of the first Police Academy movie without Steve Guttenberg. But this abandoning of the format by a studio as large as Paramount is the biggest indicator yet that, despite some never-say-die enthusiasts like J.J. Abrams, film may soon be phased out completely. The L.A. Times suggests this could happen as quickly as the end of the year, as other studios quickly follow Paramount’s lead in shifting to giving their movies all-digital releases, many of them even beamed directly into theaters via satellite. 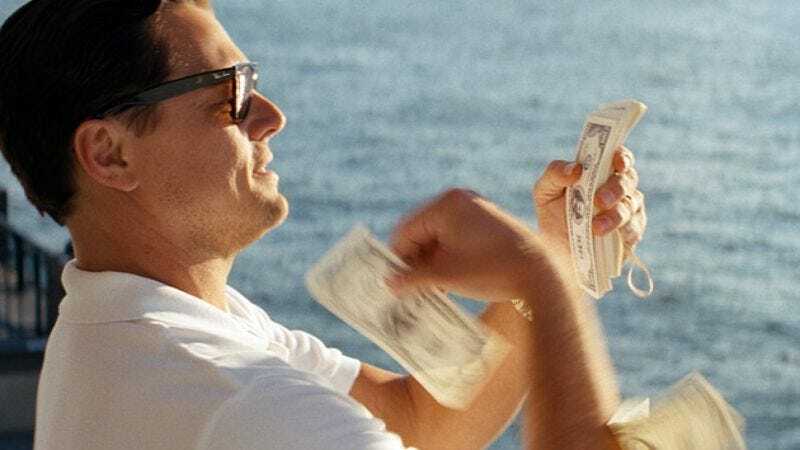 (Paramount already became the first studio to release a movie in digital form only with The Wolf Of Wall Street, giving people yet another reason to be angry with it.) Of course, abandoning it means spurning the estimated 8 percent of U.S. theaters that can only screen movies on film, and that haven’t yet upgraded to digital because of prohibitive costs, fierce adherence to tradition, or fear of robot projectionists. Those theaters are now rapidly being forced to get with the times, or be totally left behind. Or maybe just screen Paramount’s final 35-mm film release, Anchorman 2, from now unto eternity.